June 2016 – SurfWatch Labs, Inc.
Healthcare Databases for Sale on Dark Web, but What Else is Being Sold? The recent theft and potential sale of various healthcare databases has once again put the sector at the forefront of cybercrime — and makes many wonder how their information is affected by criminal activity on the dark web. While healthcare-related data is not nearly as prevalent on the dark web as other sectors like financial services, SurfWatch Labs has observed a variety of items being offered up for sale in addition to this week’s headline-making healthcare databases. As previously noted, common threat intelligence found on the dark web includes compromised credentials, stolen financial information, stolen intellectual property, threats stemming from an organization’s supply chain, and information on a wide range of hacking services and other cybercrime tools. These same categories also apply to healthcare organizations. Over the past year SurfWatch Labs has observed direct healthcare breaches, third-party breaches that have impacted healthcare organizations’ employee accounts, fraudulent prescriptions, and other healthcare-related cyber threats. What’s Being Sold on the Dark Web Now? This week, several healthcare databases were put up for sale on the dark web by an actor going by the name “TheDarkOverlord” — along with a hefty price tag for that information. According to the post, the 2GB file contains 9,278,352 records and is selling for 750 bitcoin (around $485,000), a far higher price than is typical for items sold via dark web markets. A posting of more than 9 million records is on the extreme end of the price spectrum, and it could be that the actor is trying to spin up some media attention in order to better extort potential victims or drive future sales — if he is indeed sitting on many more databases to sell. More typical of the type of healthcare-related information found for sale on the dark web is counterfeit documents and other identity information that can be used for different types of fraudulent purposes, including but not limited to medical. Although this information does not sell for hundreds of thousands of dollars and make national headlines, it is much more prevalent. For example, fraudulent medical cards from around the world are available for approximately a few hundred dollars. The vendor is also selling driver’s license templates, but fraudulent Medicare cards are an easier option for the buyer, he wrote. With this card, all the buyer needs is a hologram overlay (which he conveniently also sells) and an embosser. Likewise, non state-sponsored health cards are available. The listing below, from a now-defunct dark web marketplace, is selling a U.S. health insurance card for $40. Insurance cards like the one for sale here have a variety of cybercriminal uses ranging from direct medical identity theft to verification purposes in order to perpetrate other forms of fraud. The form, which includes up to three prescriptions, is selling for $75, and the vendor will even fill out the script for an extra $100 if the buyers are unsure how to do so. Additionally, the dark web is often associated with illegal drugs – and for good reason. Reporting on dark web markets such as Silk Road tends to focus on hard drugs; however, prescription drugs are readily available. They can be purchased from a variety of sellers on nearly every dark web marketplace. This vendor is selling a wide wide range of prescription drugs in different dosages. In addition to the postings from open marketplaces shown above, there is information to be gained from the private cybercriminal forums and markets on the dark web. As more researchers and law enforcement turn to the dark web for intelligence gathering purposes, cybercriminals have begun to take more precautions. Some markets require a referral to gain access. Some require a user fee. This chatter, both the public postings and more restrictive groups, can provide important insight into the most active cyber threats facing your organization. 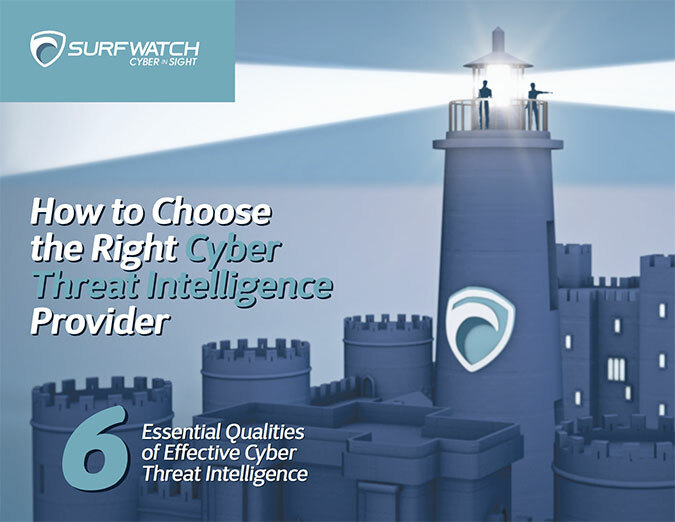 For example, SurfWatch Labs has previously observed certain forum members requesting health insurance records from specific companies – presumably to assist in perpetrating insurance fraud as one actor was specifically looking for “high cost treatments.” Knowing which actors are targeting an organization, what those actors are looking for, and other chatter around potential cyber threats can be invaluable when it comes to planning, budgeting and implementing a company’s cyber risk management strategy. This type of dark web threat intelligence provides direct insight into the malicious actors that target healthcare organizations, and it goes beyond the big ticket items that generate news headlines and spark a national conversation. Those stories are important, but in many ways the dark web shines a light on a cybercrime problem that is much more insidious: death by a thousand cuts. With so many different threats out there, knowing which threats to focus on is critical. In many ways cybersecurity is simply about effective prioritization, and to that point, cyber threat intelligence and the dark web is a vital aspect. Author Adam MeyerPosted on June 30, 2016 February 7, 2017 Categories Trends and AnalysisTags dark web, Healthcare, TheDarkOverlord3 Comments on Healthcare Databases for Sale on Dark Web, but What Else is Being Sold? What Sensitive Information is on Your Organization’s Old Drives? I heard a story yesterday about a friend’s nephew that lost his SD card from his smartphone. The SD card contained data on his games, pictures, and pretty much everything else he used his phone for. He searched everywhere for this SD card until it finally dawned on him where it was. Turns out, the SD card was in his old smartphone that he traded to a cellular store for a newer phone. Honest mistake, right? It was an honest mistake, but it is also a symptom of a bigger issue. Data recycling can lead to big problems, problems that most people are unaware of. For many people that are looking to get rid of electronics, they probably go through a few basic steps to get rid of data such as a factory reset or manually erasing any data they see. However, this won’t get rid of all the data contained on the device. In a study conducted by Blancco Technology Group, it was found that 78% of hard drives examined in the study still contained residual data that could be recovered. The study focused on 200 used hard disk drives sold on eBay and Craigslist. What is this data? Well, let’s start with photos (with locations indicators), personal information, Social Security numbers and other financial information. Perhaps more alarming, about 11% of studied devices contained company information such as emails, sales projections, product inventories and CRM records. Unfortunately for organizations, this is another way neglectful actions on the part of human beings can cause a data breach or other malicious activity. People make mistakes all the time, and these unintentional mistakes can have severe consequences. Going through all your devices and making sure they are clear of any data can be a chore (especially if technology is not your thing). There is good news: the Internet is full of information that can help you solve this problem. USA Today: 3 simple ways to delete your data for good: This article from USA Today talks about steps you can take on Windows computers to delete data from the hard drive. The latest version of Windows covered in the article is Windows 8. It does offer information for Windows 7 OS and below. BT: Selling your computer? How to wipe your PC with Windows 10: This article from BT shows you how to erase data from a hard drive with a Windows 10 OS. It will also show you how to reinstall Windows 10 for when and if you decide to sell the device or give it to a friend or relative. ZDNet: Securely wiping an Android smartphone or tablet: Android devices are the most popular on the market, so this article covers the data erasure issue for many people with an Android OS smartphone or tablet. Apple: What to do before selling or giving away your iPhone, iPad, or iPad touch: This is a page from Apple support detailing what a user must do in order to erase their data. Apple: What to do before selling or giving away your Mac: This is the data erasure process for Mac computers. As the Blancco Technology Group noted, many organizations struggle when it comes to securing the data on old drives. “One of the more troublesome challenges is related to wiping the data from them when employees leave the company, the drives hit their end of life or the data itself needs to be removed to comply with IT policies and security regulations,” the report read. Ensure your organization has a clear policy in place so that — unlike my friend’s nephew — you’re not scrambling later and trying to figure out the source of sensitive information being compromised. Author SurfWatch LabsPosted on June 30, 2016 February 7, 2017 Categories EditorialsLeave a comment on What Sensitive Information is on Your Organization’s Old Drives? I recently had the pleasure of sitting down with Larry Larsen, Director of Cyber Security at Apple Federal Credit Union, to learn about the cybersecurity challenges they face and how threat intelligence fits into their overall approach to risk mitigation. Larry explained that his primary objective is two-fold: to protect member information and assets, and to protect Apple FCU’s organizational information. With increasing complexity around cyber, he discussed with me the need for threat intelligence to become more apparent. Beyond just blocking threats, he wants to understand what attackers are trying to do so he can prepare as best as possible. And while there are many sources of open source threat information, intelligence takes it a step further by correlating patterns of behavior that the cybersecurity team at Apple Federal Credit Union uses to guide their efforts and anticipate threats before they occur. 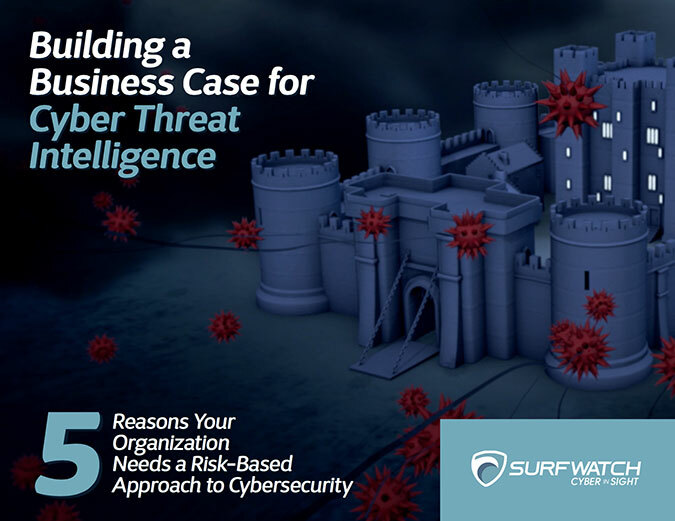 In this 5 minute clip, you can learn about how strategic and operational threat intelligence are used throughout the organization – beyond just the cyber team – to prepare for impending threats and reduce risk. That “democratization” of who is being targeted is the biggest driver behind the often-reported skills gap, Morville said. More businesses than ever are in need of security professionals, and there’s just not enough talent to go around. The numbers back up those assertions. According to a 2015 analysis of Bureau of Labor Statistics numbers, the demand for IT security professionals is expected grow by 53 percent through 2018, and a 2016 ISACA report found that 62 percent of those surveyed stated their organizations have too few information security professionals. Finding talent can take a long time: More than half of organizations require at least three months to fill open cybersecurity positions, and nine percent could not fill the positions at all. Most applicants do not have adequate skills: Fifty-nine percent of respondents said that less than half of cybersecurity candidates were considered “qualified upon hire,” up from 50 percent a year prior. Security confidence is down: Only 75 percent of respondents reported that they were comfortable with their security teams’ ability to detect and respond to incidents, down from 87 percent a year prior. Currently, the largest organizations — such as mega-banks and the military — have the resources to excel at IT security. … Just one tier down from this elite group, it’s a different story. … Under these circumstances, security teams are forced to rely on security tools that are outdated, siloed and inefficient. These tools allow too many attacks to get through, are often disruptive to users, and offer no post-incident value. Organizations at the top of their industries devote a lot of resources and manpower towards security, but that drops off “really fast” when you start moving down market, Morville said. Finding the right candidate can be challenging because — as others have said — security professionals often have to be a chameleon and wear many different hats. But finding people to stop the bad guys is only half the equation, Morville said. The other half is doing so in a way that frees up resources. That’s where security tools need to improve to make sure they’re helping organizations become more efficient. As SurfWatch Labs chief security strategist Adam Meyer wrote, there is a huge difference between being actionable and being practical, and tools and intelligence need to be more practical. This means security tools should help free employees from low-level tasks so that the employees organizations do have can better utilize their time, Morville said. For more, listen to the full conversation with Confer’s Paul Morville about the skills gap, how it’s affecting the IT middle class, and what security vendors, businesses and others can do to help address the problem. Cybercrime and politics crossed paths yet again as a data breach at the Clinton Foundation was revealed as part of a wide-reaching campaign. A massive cryptocurrency theft led to tens of millions of dollars in potential losses for The DAO. Acer is notifying users of a breach at the company’s e-commerce site. And banks continue to be targeted with DDoS attacks. A variety of companies are also reporting secondary breaches stemming from the breaches at LinkedIn and others, keeping the issue of password reuse in the spotlight. Researchers highlighted a variety of malware this week including PunkeyPOS, DED Cryptor, RAA ransomware, Magnit and GozNym. The FBI released updated stats on business email compromise scams, and surprise, it’s only getting worse. Legal news includes financial institutions filing a lawsuit against Wendy’s, Home Depot filing an antitrust lawsuit against Visa and MasterCard over chip-and-signature issues, the SEC warning of a man hacking accounts to make unauthorized trades, and a $950,000 privacy settlement with the FTC. Also, some people are not too happy about a Game of Thrones spoiler service. In a year where ransomware is receiving massive amounts of attention, there is another threat that continues to grow – Business Email Compromise (BEC) scams. The FBI has issued two warnings about this threat in 2016. The first warning was bad enough, with the FBI estimating BEC scams have accounted for about $2.3 billion is losses from 17,642 victims. Unfortunately, the latest warning has increased these figures. The FBI is now saying that money lost from BEC scams is over $3 billion dollars, with more than 22,000 victims falling prey to this attack. The warning went on to say that victims of BEC scams have appeared in all 50 U.S. states as well as 100 countries throughout the world. Another noteworthy piece of information is where the money lost in these scams is ending up. “Reports indicate that fraudulent transfers have been sent to 79 countries with the majority going to Asian banks located within China and Hong Kong,” the alert read. In most cases, a BEC scam attempts to portray an email or request as being urgent, placing pressure on the recipient to act fast without asking questions. The email is often sent from a legitimate looking source — such as a high-ranking company official or a bank that works with the company — which further eliminates questions from the recipient. Money is the ultimate goal of a BEC scam. Many cases involve attempting to create a scenario where a money transfer takes place. The 2015 tax season demonstrated a new method for BEC scams — W-2 data theft. Tax fraud was abundant in 2015. In many of these documented events, a BEC scam was used to compromise company W-2 information. “Fraudulent requests are sent utilizing a business executive’s compromised email,” the FBI alert stated about BEC data theft scams. The alert from the FBI pointed out that BEC scams aimed at obtaining data first appeared during the 2015 tax season. Employees are the primary targets of BEC scams. It is vital that employees understand the dangers of opening attachments from unknown sources. It is equally important that employees question unusual requests — like what you would see in a BEC scam email. Make sure employees understand that it is okay to ask questions before performing job functions, especially if that job function was requested via email. Before sensitive information is accessed, put in place checkpoints to make sure this information is only being shared with authorized and legitimate personnel. Many businesses cannot keep up with the plethora of sensitive data that’s being created and shared by their organization, and as a result they may face increasingly stiffer fines as new regulations and laws are passed to protect that data. That’s according to John Wethington, VP of Americas for Ground Labs, a security company focused on helping organizations monitor their data. “Simply put, there’s so much data being generated every single day that these organizations — they literally lose track of it,” said Wethington on SurfWatch Labs latest Cyber Chat podcast. 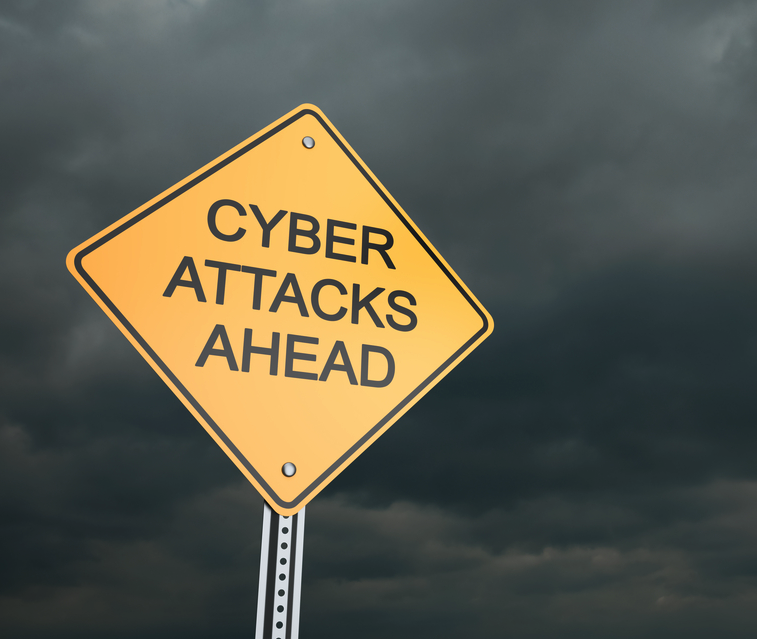 That lack of insight is leading to data breaches caused by both mistakes within the organization as well as external actors such as cybercriminals and hacktivists. Although data storage and data use has shifted over the past few years — more cloud services, more sharing, more tools to extract and analyze information — cybersecurity has often lagged behind that shifting approach. If an organization isn’t closely monitoring that sensitive information, they may be in for a rude awakening, Wethington said. That lost data may lead to larger fines and penalties as new regulations such as the EU’s General Data Protection Regulation (GDPR) come into effect and organizations have to deal with issues such as the right to be forgotten. The GDPR, which goes into full effect in May 2018, comes with a considerable increase in potential monetary fines for those that don’t keep personal information protected: up to 4% of firms’ total worldwide annual turnover. The global regulatory environment is “rapidly changing” as governments try to create different ways to compel organizations to maintain data security, Wethington said. As a result, organizations are trying to understand what new regulations such as GDPR will mean for them. Throughout 2016 we’ve seen numerous data breaches related to businesses being unable to properly monitor and protect their data. As Ground Labs VP of Americas John Wethington put it, organizations simply cannot keep track of the growing amount of data they have. However, new regulations such as the EU’s General Data Protection Regulation come with stiff penalties for those organizations that do not protect the sensitive data they collect. On today’s Cyber Chat we talk with Wethington about why businesses are having trouble monitoring that data, how they can improve, and what the future holds for data security.